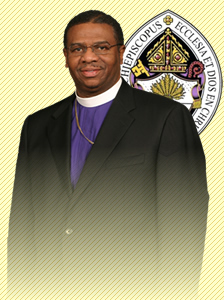 Bishop C. H. McClelland is the Pastor of Holy Cathedral Church of God in Christ which is located at 2677 North 40th Street in Milwaukee, Wisconsin, with a growing membership of over 1,200 people. In September 1982, he was appointed by the late Bishop P. J. Henderson as the Pastor of Eagle Eye Church of God in Christ, which is now Holy Cathedral. Bishop McClelland married First Lady Prentiss on July 13, 1974 and have been blessed for 39 years. Bishop McClelland worked for the Milwaukee County Department of Health and Human Service for 19 years. His last position before retiring from Milwaukee county was as the Project Manager for Target Cities, a federal program that had a budget of eight (8) million dollars and a staff of 54 employees. This program included alcohol and other drug abuse (AODA), Employment Services, Health Care and Intensive Case Management to it’s participants. Unknowingly, this position was preparing him for the development of Word of Hope Ministries, Inc., which began in 1996 and he serves as Founder and President. Word of Hope Ministries is a non-profit 501(c)3 organization which includes the Word of Hope Family Resource Center that houses a Broadcast/Telecast Center, Health and Social Service Programs, Mentorship for Youth, ATODA (alcohol, tobacco and other drug abuse) services, Health Care Services, Job Placement and Training, Individual and Family Counseling, Family Technology Center which includes an Adult GED Lab, Children’s Enrichment Lab, and other Technology Services for the entire family. Bishop McClelland has received numerous awards from Civic Organizations for outstanding service and continues to serve on numerous boards.